Over the last 20 years, we have been working to promote the physical and emotional health of children and adolescents in situations of social vulnerability. We do this by providing Certification courses, especially to those dealing with this public: Educators. They are teachers, pedagogues, caregivers, students and professionals who, in their daily practice in institutions, NGOs and schools, play the important role of transmitting basic concepts to children and their families, which are capable of changing their reality for the better. Over two decades of work, the Criança é Vida (Child is Life) Institute has certified thousands of educators. They are mainly responsible for promoting positive attitudes we encourage, in order to help build a country with a better health system. To recognize and reward the work of these professionals, we created the “Educating for Health: I make the difference” Recognition Campaign in 2016. The idea was to identify the best educational practices created by educators who participated in our Certification courses and who had a high multiplying potential. The campaign was launched in May 2016 and, starting on our website, activities could be submitted over five months. The choice of winners was assigned to a judging committee, led by biologist and master teacher of the Institute Célia Siqueira. Winners were announced last March. Robert Eduardo Andrade, Marta Regina de Souza and Marina Claudino dos Santos were the top three, respectively. 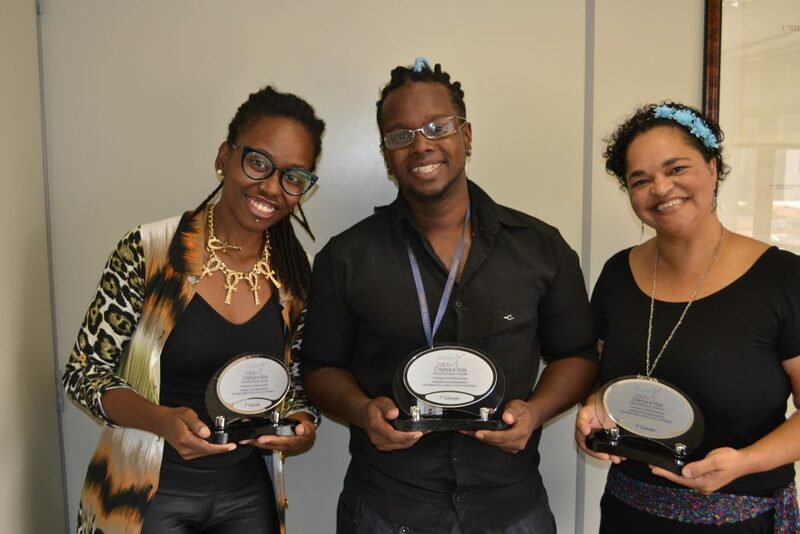 The award ceremony took place at the Criança é Vida (Child is Life) Institute headquarters, in São Paulo, on March 23, and included all our staff members. The winners received, from the hands of Managing Director Regina Stella Schwandner, trophies for their participation, in addition to cash awards. 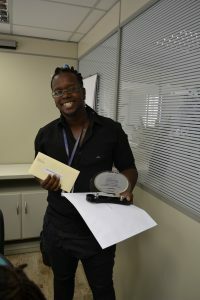 At 34 years of age, educator, student in his last semester in Social Services and senior graduate student in Social Projects and Policies, Robert Eduardo Andrade, was the first ranked in the “Family and Family Relations” activity. His work was developed with children and adolescents assisted by the Vivenda da Criança (Children’s House) community center, in the Parelheiros neighborhood, at the southern end of São Paulo. The NGO monitors nearly 5,000 socially vulnerable families in the region. Robert works with 180 children and adolescents between 6 and 14 years of age, at the NGO’s Child and Adolescent Center (CCA), always after school. 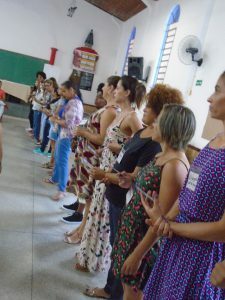 The young people take part in fun workshops in which educators apply the knowledge they have acquired in projects offered by the Criança é Vida (Child is Life) Institute. In 2016, Robert participated for the first time in the Growing up with Values and Sexual Education projects. 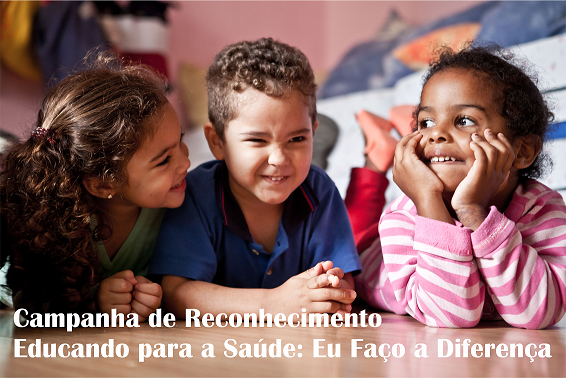 The inspiration to participate in the Recognition Campaign was drawn from the Criança é Vida (Child is Life) Institute’s quality of materials and from the wish to share his own knowledge. The educator, who did not expect to win, says he is happy to know that someone saw and liked his work. “This is the most important thing to me,” he said. Through his activity, Robert has tried to create a favorable environment among children and adolescents, so that they can talk about family relationship and communication problems. The project, which involved and also touched parents, promoted conversation and included letter writing, through which participants could express issues they could not discuss before, changing family dialogue. “In the region where I am active there is a lack of listening at home,” said the educator. For Robert, the best part of the process was to see that those who most resisted in the beginning of an activity were those who, in the end, talked most about things that were interesting and important for them. “When an activity involves feelings, it can always surprise us. It is very cool if you know how to deal with this. It is important to be prepared for anything that may happen. 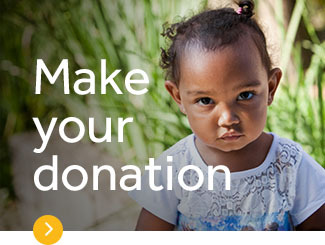 And the Criança é Vida (Child is Life) Institute courses help us with this,” he said. 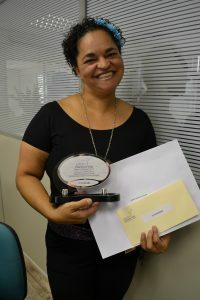 Marta Regina de Souza, 48 years of age, is an educator who has participated in Certification courses given by the Criança é Vida (Child is Life) Institute since 2008. This year, with the “I care, I preserve, I live” activity, Marta was the second-place winner in the Recognition Campaign. Her activity took place at the Família Feliz (Happy Family) NGO, in the city of Taboão da Serra, in the state of São Paulo, and involved about 30 children, each shift, from 7 to 9 years of age, three times a week, over the course of three months. The initiative was a response to a recurring community problem: Illegal trash disposal. The NGO, which is active in the health area, including the scheduling of medical examinations and appointments, also provides after-school child care, and is quite aware of the problem. The NGO’s head office faces a polluted river. 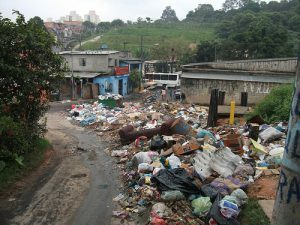 The children attending the NGO live daily with this reality and the families disposing of trash are the same ones who live near the river,” said Marta Regina. For this reason, residents were not happy at all in the beginning of the activity, and resisted. The strategy for overcoming this barrier was first to sensitize children, so that they could later sensitize their parents. “For these children, illegal trash disposal is common. They have grown up with this,” she said. Born in the region, the educator used her own life experience to illustrate a reality that her pupils had never experienced. “I told them that this river once had little fish and that kids could enter it when I was young. I also searched on the Internet for images of that time to show them,” she remembers. Taking photos of bad examples of trash disposal along the river was one of the activity steps, which also included reading stories about the environment and using training booklets of the Criança é Vida (Child is Life) Institute’s Living Well project as support material. To conclude, the group made posters from photos taken. Panels were assembled in public community places like schools and public health clinics. Today, the impact of the activity can already be seen in practice. Dumpsters were installed by the municipal government in the region and residents are regularly throwing trash in them. “Families we visited complained about the lack of an appropriate place to dump trash and about delays in garbage collection,” said the educator. The next step planned for the project is to contact nearby companies that are still dumping untreated waste into the river. The opportunity to see her activity multiplied in other regions with similar problems was what most influenced the educator to participate in the Recognition Campaign. 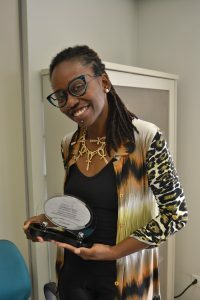 She was surprised to have won: “I believe in my project and in what I did, but I really didn’t expect win.” Though unexpected, the recognition has already had an impact on the community itself. Families want to repeat the initiative this year, this time including a larger number of children and also involving companies. “If everyone does their part, one day things will be okay,” she concluded. With an undergraduate degree in Physical Education and Dance, Marina Claudino dos Santos, 30 years of age, ranked third in the Recognition Campaign with “The perfect doll activity.” A socio-educational guidance counsellor at the Child and Adolescent Center in Jardim Aurélio, in the Capão Redondo neighborhood, in the city of São Paulo, Marina proposed the activity in response to a spontaneous demand of children and adolescents 9 to14 years of age. At the beginning it was to be only a theater activity. For this, they would need some objects and one of them was a doll. Intending to promote representativeness of black children and reflection by others on the white standards found in images (books, magazines and drawings), the teacher took a black doll to the classroom. But the group’s reaction changed the course of the proposal. “When I started explaining the theater activity and showed the doll, my explanation was lost, and the subject was changed to the beauty of the doll,” she said. There were comments like: “What an ugly doll.” “It was sad to see black girls not recognizing themselves in the doll. They did not see themselves as representatives because they have no representativeness. The white doll would be ideal for them,” she regrets. According to Regina’s and Célia’s assessment, the first attempt to recognize the work of educators showed how difficult it is for participants to write about their own educational experiences. On the other hand, the profile and happiness of the winners were a reason for satisfaction. “The winners were people very enthusiastic about the real purpose of education and truly committed to learning, including within our projects,” said the director. 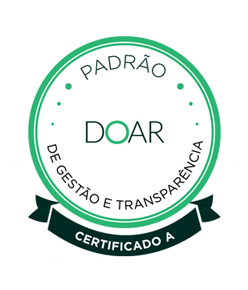 Once more, the Criança é Vida (Child is Life) Institute congratulates the winners, thanks all those who participated in the Recognition Campaign and highlights the importance of the work of educators who take the learning acquired through our Certification courses to children, adolescents and their families, while at the same time proposing something more. Our role is always to contribute to qualifying, supporting and recognizing the work of professionals like these.